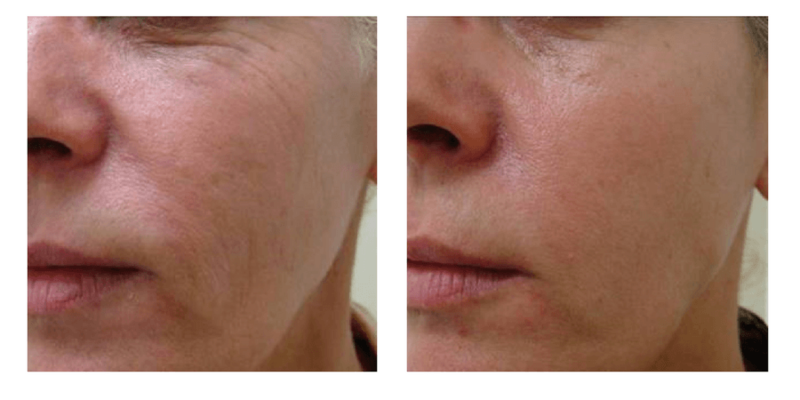 Laser skin resurfacing helps to dramatically rejuvenate the skin. Treatment radically improves aged, sun-damaged and scarred skin. An advanced Fractionated CO2 (carbon dioxide) is used and your skin is treated with a matrix of laser light. 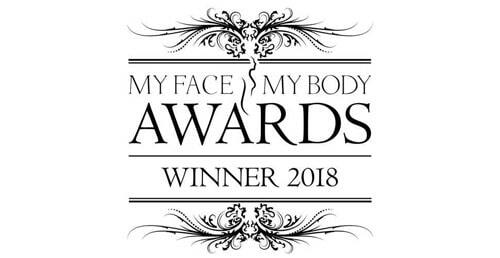 The result is a treatment that is fast, comfortable and requires less downtime than traditional resurfacing enabling you to get back to your daily routine quickly. It is a fast, safe and effective treatment. 30 - 90 minutes depending upon the area being treated. Local anaesthetic cream for 20 minutes. Keloid scarring. Vitiligo. Cancer. Active herpes simplex. Active infection. Medication that makes you photosensitive. Roaccutane. Tanned skin. Pregnancy & Breast-feeding. Redness, swelling & scabbing for 5 – 7 days. 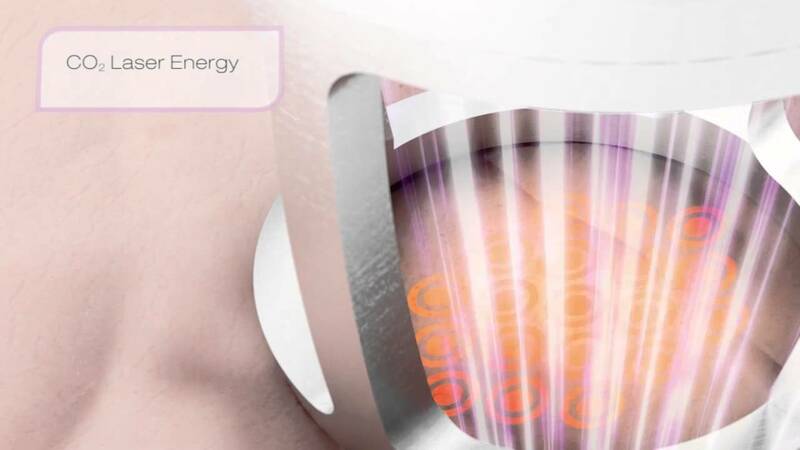 Recovery time can be reduced by having Dermalux LED Light Therapy. Smoother firmer skin. Reduces fine lines. Reduces pore size. Improves acne scars and all scars. To improve lines & wrinkles, tone, texture, scars including acne scars. Not suitable for skin types V & above. A course of 3 treatments at 12 week intervals. From £500 per session. Discount available on course of treatments. Please contact the clinic for more information. During the procedure, the skin is treated with a matrix of light points that vary in intensity, depending on your skin type, the area being treated and desired treatment results. 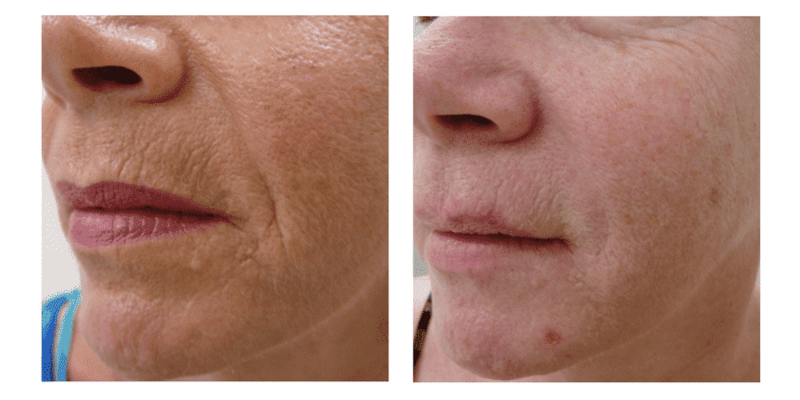 The treatment tightens existing collagen and also stimulates the formation of new collagen. You will continue to see improvement over time. 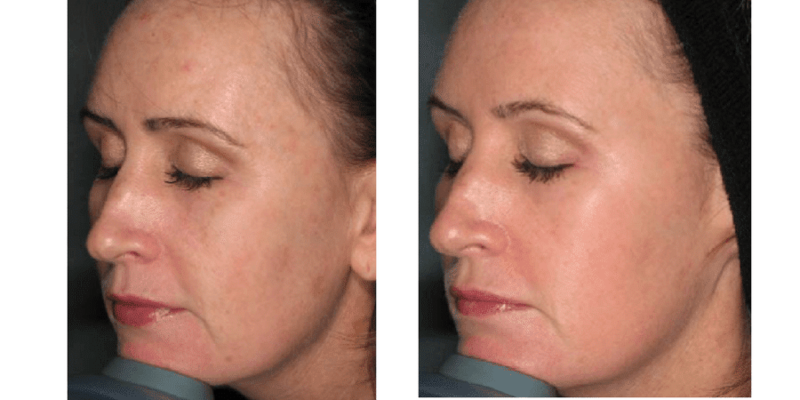 WHAT CONDITIONS CAN CO2 FRACTIONAL LASER TREAT? There is mild discomfort with the procedure. Most patients say they feel warmth similar to sunburn. We apply a topical numbing agent prior to the procedure to minimize any discomfort. There is downtime of 3 to 5 days downtime after treatment. But, we can significantly reduce the healing with having Dermalux LED Light Therapy straight after the laser treatment. You will need a course of 3 treatments at 12 weekly intervals. 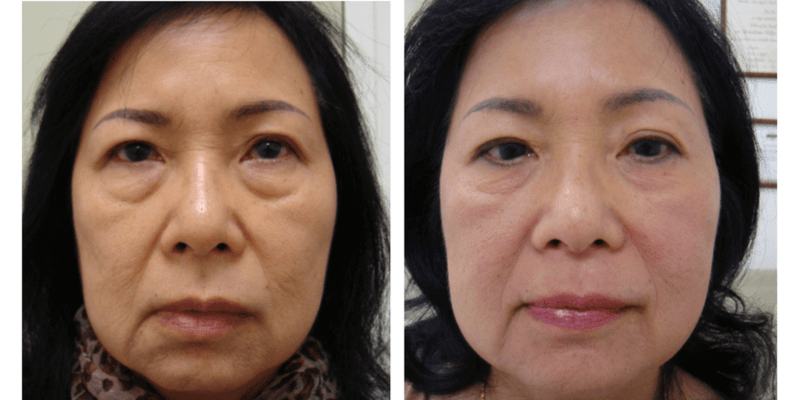 The Madonna lift is the non-surgical alternative to improve drooping skin, wrinkles and signs of aging around the eyes. 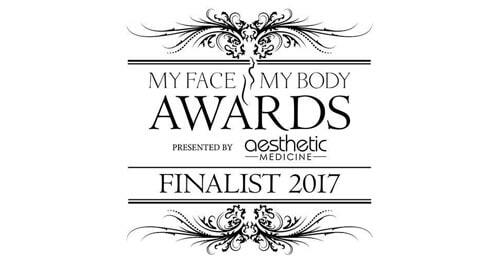 The fractional laser treats deep into the skin around the eyes to plump up the wrinkles, tighten the skin and lift sagging brows. Most patients see some results straight away and full results are seen after 3-5 treatments. You will continue to see improvement for up to 6 months after your last treatment. HOW CAN I IMPROVE RESULTS? You can enhance the results also by using cosmeceutical anti-ageing skincare as well as high level broad spectrum sun protection to reduce photo-damage. WHAT IS THE DIFFERENCE BETWEEN CO2 AND ERBIUM LASERS? To understand which treatment is better for you, whether it be iPixel CO2 or iPixel Erbium, please read this blog.